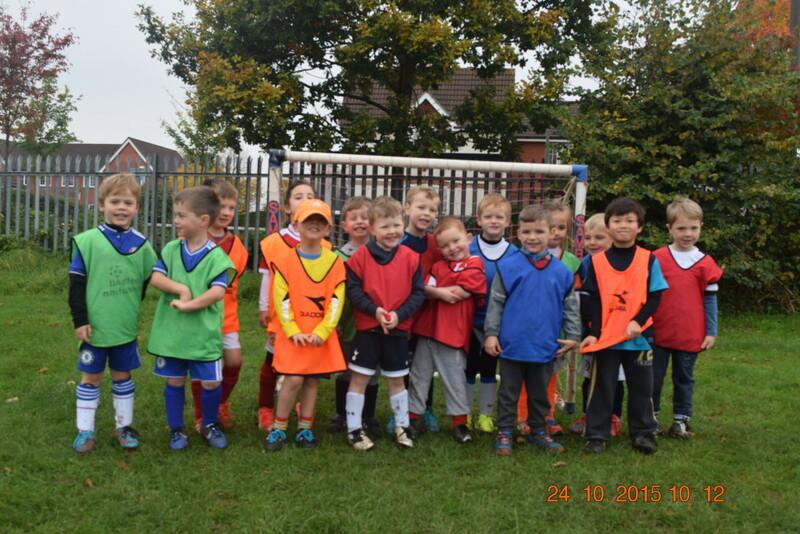 Worplesdon Rangers Football Club » Reception Mini-Rangers Squad is Thriving! Our youngest players start their life with the Club in the two ‘Mini Rangers’ groups: Reception/Pre-Reception for the very youngest, graduating onto the Under 6 group a season later. Pictured here is the fantastic Reception Class of 2015 – their adrenalin was already flowing mid-training session, so getting them all to stand still for the camera was a feat in itself! If you would like to know more about Mini Rangers, who train at our Northmead School Mini Soccer Centre on Saturday mornings, please contact Rupert Phillips.